Just over a couple of years have passed since Yours Truly KJS last caught Dave Scott-Morgan's Morganisation outfit live so when a gig was announced in the midst of Jeff Lynne's ELO residency at the (relatively) nearby Arena Birmingham (NIA), so it was an easy decision to drive over to The Oak Hotel in Hockley Heath near Solihull last night (Thursday 11th October) and check them out for the third time. 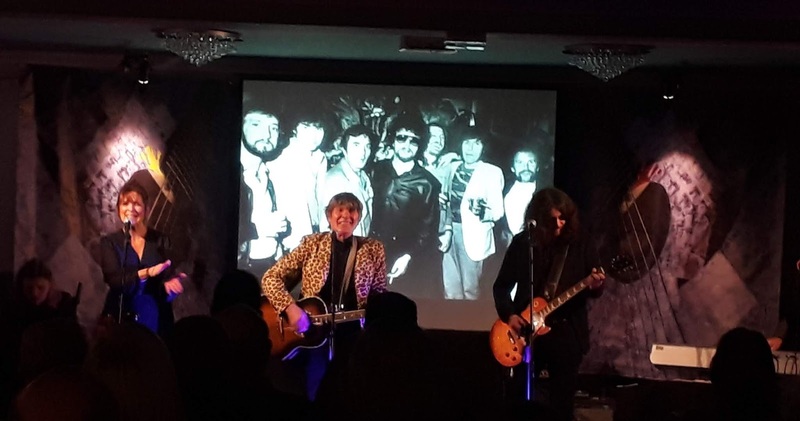 The packed venue was treated to wonderful evening of banter and musicianship with an informative multi-media backdrop as Dave (a former member of The Uglys, Balls, Magnum, ELO) and wife Mandy and their merry band took us on journey from his first job and the birth of his music career right up to the present day with "The Gates Of Eternity" (taken from their forthcoming new album). 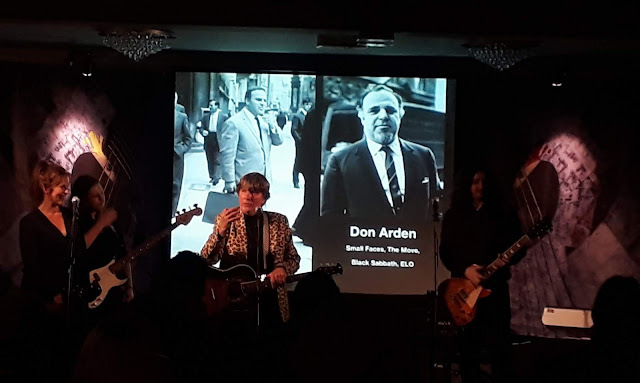 Full of anecdotes and recollections and underpinned by what has become a tight if not cohesive quintet, this was a concert of the highest quality thanx to an inspired set list which balanced their own material ("Normal Day", "Still", "Cold City" and "Shanty Town Blues" were ace!) with covers of classics by Bob Dylan, The Beatles, The Move, The Traveling Wilburys and (of course) ELO to tick all the proverbial boxes. A special mention is overdue for guitarist Alex Lowe who continues to impress with his guitar craft. Here Is The News! Mandy confirmed during the gig that an orchestral interpretation of the classic Tandy Morgan album "Earthrise" is being planned for debut at Birmingham Conservatoire in November 2019 (more details here). 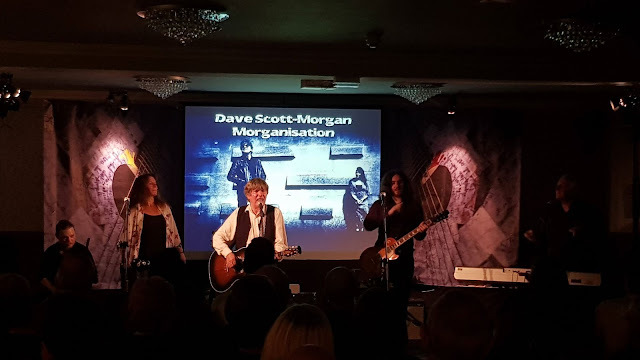 In the meantime, should Morganisation pop up again with more gigs betwixt now and then, the folks at elobeatlesforever (elobf) reckon that you should go see 'em! Photo: John Collins. Used with permission. 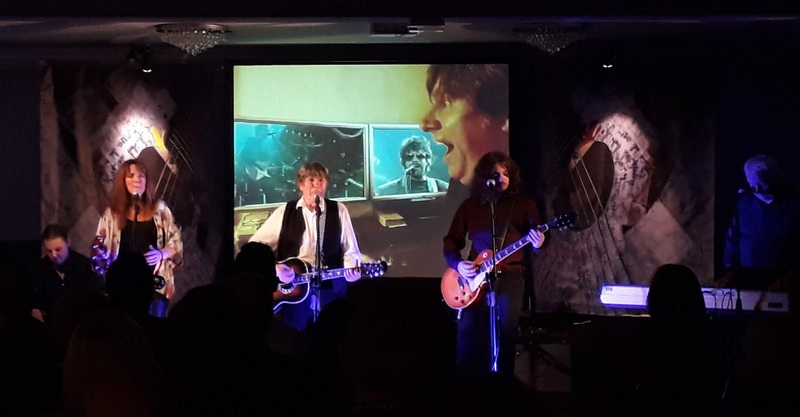 elobeatlesforever (elobf) recommends Morganisation to those enlightened folks who enjoy the music of ELO, Jeff Lynne, Roy Wood, The Move, The Idle Race, 'Brum Beat', The Traveling Wilburys, The Beatles and related artistes.